This jingle is to expound on the glories of fire departments anywhere. 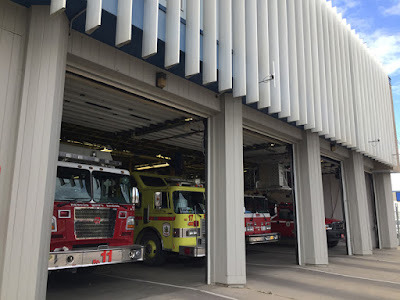 Footage of the interiors and exteriors of fire stations are to be used in the music video. When any local fire department makes their own music video, they are to use footage of their own fire station(s). Labels: fire department, fire departments, fire station, fire stations, firefighter, firefighters, parody music, Son of W.A.Y.